When this bride to be contacted me to photograph her engagement session at the Southampton Firehouse, I was thrilled as I always love working in new locations. Especially ones that are meaningful to the couple as they will have a greater significance and sentimental value. Further, the bride and groom to be are both first responders. And they have a great "how we met story." 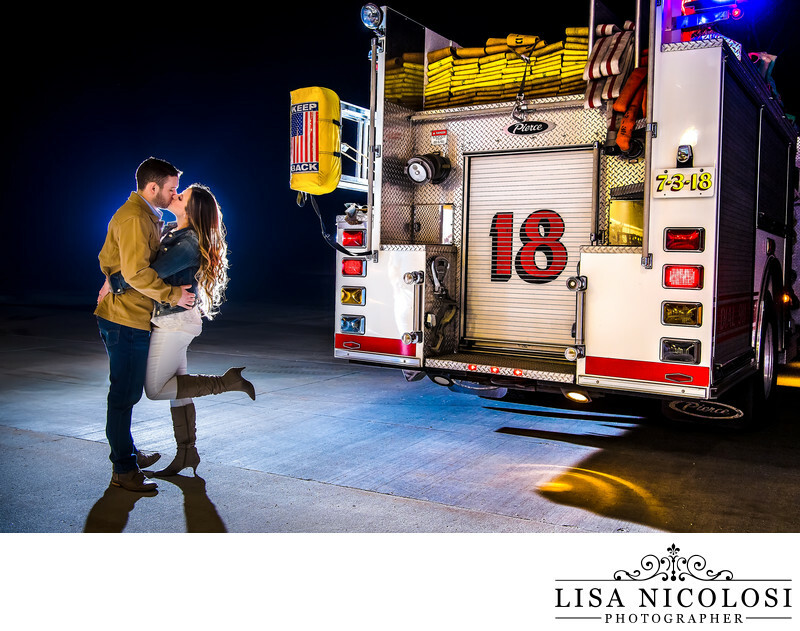 She is a paramedic and he is a firefighter and they met in an ambulance on one of the bride's first runs. 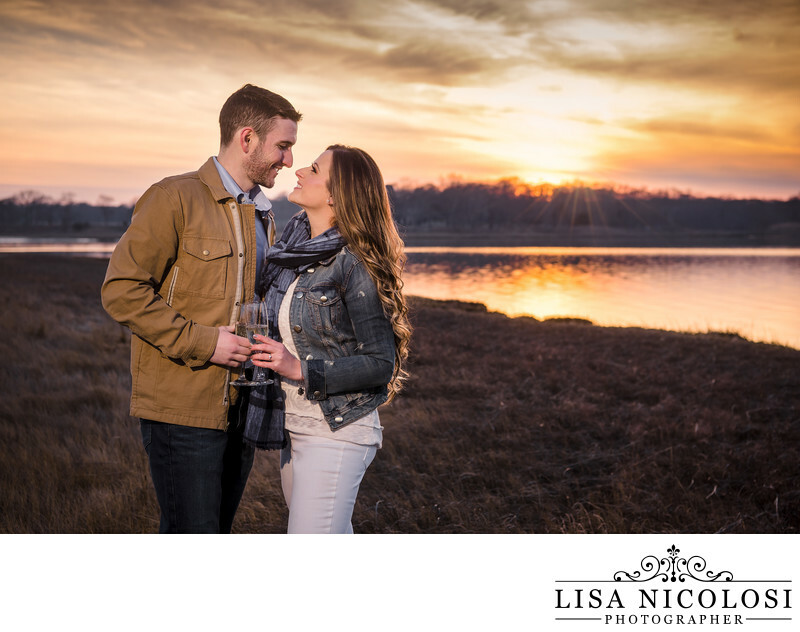 For this session we started off at the Southampton Firehouse, then went to Scallop Pond Preserve in Sag Harbor; then back to the firehouse for some night time images. This resulted in a final gallery of images that have a lot of variety and backgrounds in many different lighting scenarios: daytime, natural, golden hour, sunset and night time. Scallop Pond Preserve is also meaningful to them as this is where the groom to be first told his bride that he loved her and where they frequently relax for some quiet time together. I brought my lighting assistant to this session so that we could create some beautifully and dramatically lit images. I used natural light for some of the images, however; I would not have been able to produce the results I did otherwise. It is important to me to provide my clients with images that are professionally lit and artistically produced. The images below show some of the photos we created in the daytime too. More images from this fun engagement session can be seen on my blog here. If you are planning a themed engagement session or have a special place in mind, I would love to be a part of it and be your wedding photographer. We can create memories and art together! Please visit my contact form or give me a call at 631-747-5645! Location: 477 NY-27A, Southampton, NY 11968.